Congratulations on your new Smartron srtphone!! 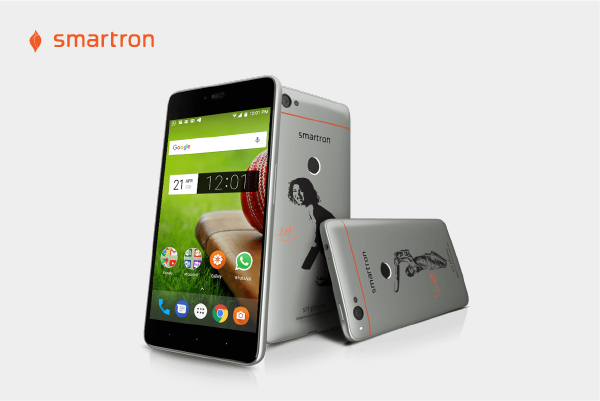 We take great pride in welcoming you to the Smartron family. To all customers who have bought the srtphone during the launch offer period, we are pleased to announce that we will start shipping the special edition back covers from next week. Details related to the extended warranty offer will also be shared along with it. 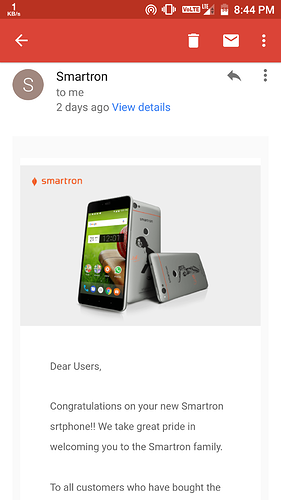 Please reach out to tcare@smartron.com for any clarifications. Thanks for the official announcement. Also release some nice back cases at nominal price. You already made enough money as we bought SRT phones more than expected. So show some concern plz..
Is anything do to get the back cover? I mean any registration? Hey, I wrote that where in the tronx app. Which means after I open the tronx app which steps do I have to follow. Please brush up your English skills. Bro, we just have to register in tronx app. Here is some points if it can help you. Thanks, I had done it already. But I thought there might be some other registration process involved. Only 1 cover or person. I guess you're under the wrong impression..